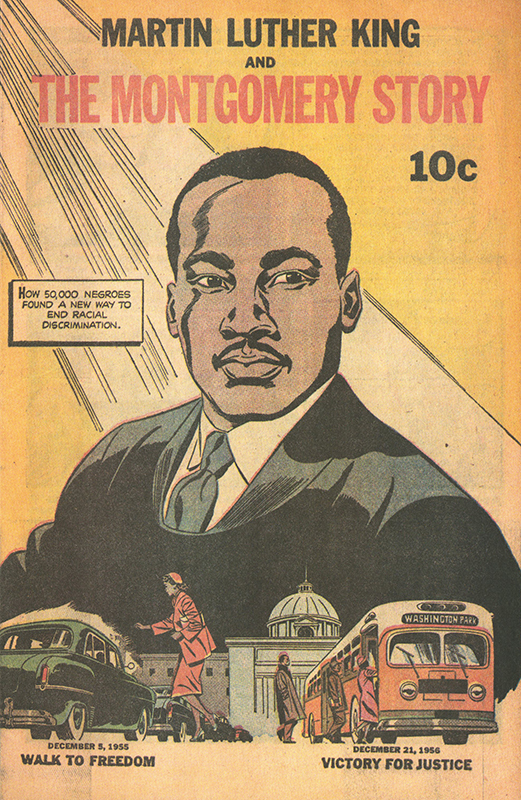 Educational comic book published by the Fellowship of Reconciliation following the success of the Montgomery Bus Boycott. The comic book advocates for the principles of nonviolence and teaches methods of nonviolent resistance. 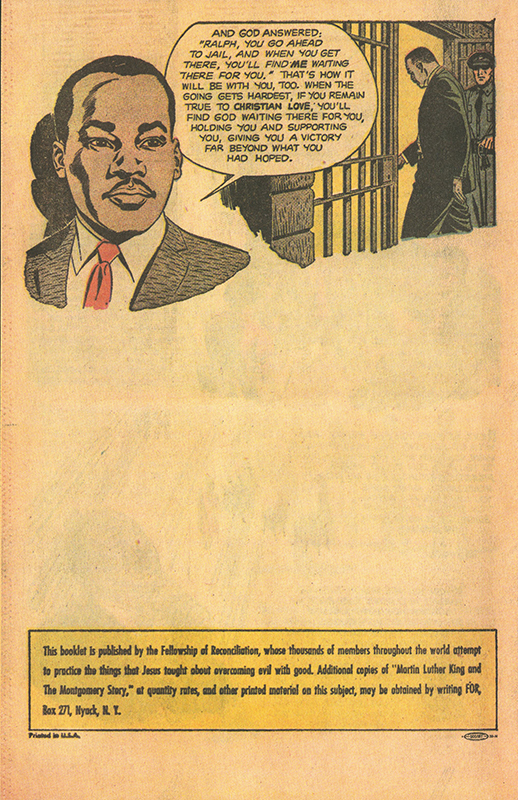 It was produced by the studio of artist Al Capp, who admired Dr. King. Aydin, A. (2013). Cover Story: The comic book that changed the world. Martin Luther King and the Montgomery Story's vital role in the Civil Rights Movement. Creative Loafing. Mammy Yokum and the Great Dogpatch Mystery, Social Welfare History Image Portal. Resnick, Benton and Hassler, Alfred (writers) Artist unknown, “Martin Luther King and the Montgomery Story,” Social Welfare History Image Portal, accessed April 26, 2019, https://images.socialwelfare.library.vcu.edu/items/show/292.